In a large skillet, melt butter over medium heat. Add mushrooms. Cook 5 minutes, stirring occasionally, until mushrooms have softened slightly. Add garlic and cook for an additional minute. Add Holland House® Marsala Cooking Wine and chicken broth; bring to a boil. Add gnocchi and cover the skillet. (If your skillet does not have a cover, you can cover with aluminum foil.) 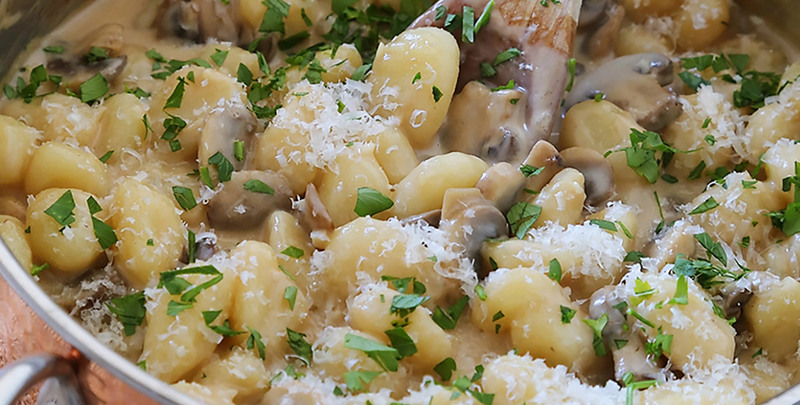 Cook 3-5 minutes, or until gnocchi is softened and cooked completely. Remove from heat and stir in heavy cream, until well blended. Sprinkle with chopped parsley and parmesan cheese, if desired. Serve hot.